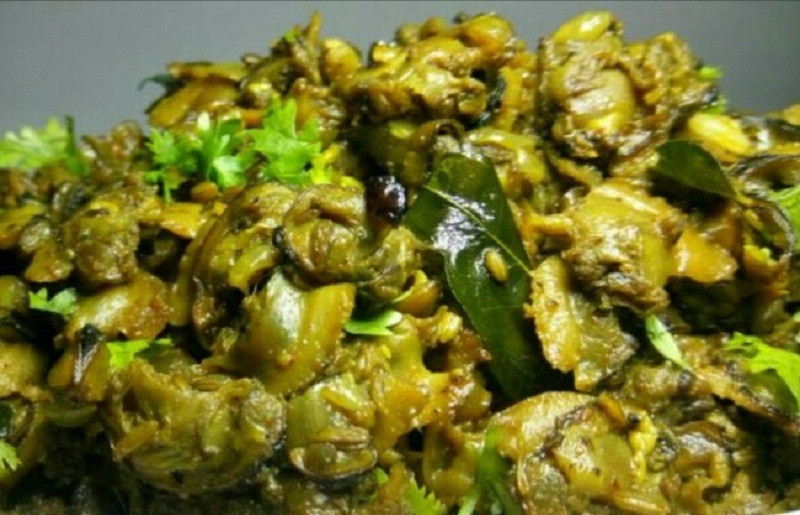 Hai, friends here is the recipe of Roasted Clams with Pepper , which is also known as Kakka Irachi Kurumulaku Roast. 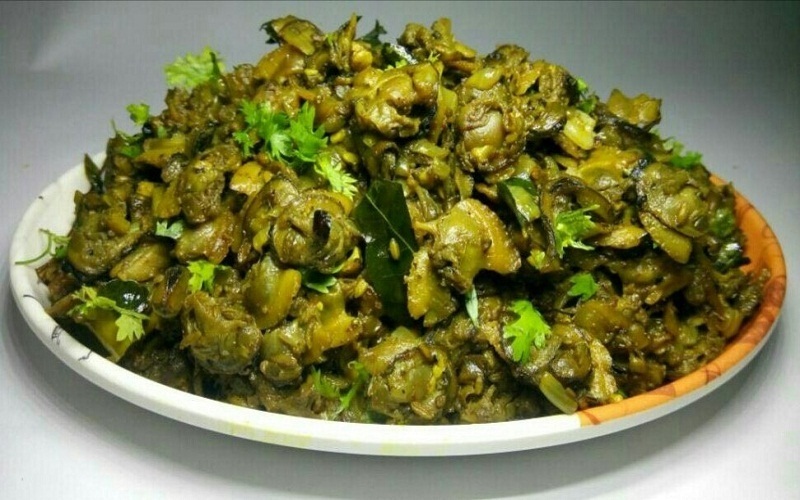 This dish is a seafood specialty of Kerala expecially those people who lives in coastal area’s. Clams comes in many types, there are hardshell clams and soft shell clams. Clams are not significant source of fat, but it is a great source of protein and helps to reduce the level of cholesterol it also helps for building and repairing muscles and tissue. It is a high protein seafood choice in a very low cost. I know that some people often reject clams due to their salty and chewy texture an aslo because of the difficulty of cleaning. Today we are going to make Roasted Clams with Pepper , here we are adding enough pepper powder for the spiciness. This dish got the name as Kakka Irachi Kurumulaku Roast because of the special taste and aroma of pepper powder which we are adding here. I am making this in coconut oil which is an important ingredient by which we gets the exact taste of Kakka Irachi. So, let’s have a look at our recipe. Clean clam or Kakka throughly by pinching it laterally, remove the black dirt from the inside part. Wash it in plenty of running water finely add luke warm water and wash clams very well, keep it aside. Add crushed garlic and ginger into this and saute it, then add chopped green chillies and curry leaves to this pan and again saute it well. After the ginger,garlic lost its raw smell.add pepper powder into it and saute it.Now you can add termeric powder and jeera powder into this, and saute all ingredients very well. Add washed clams to this masala, add enough salt and pour little bit water and mix it well. Close the pan with it’s lid and cook Kakka Irachi in a medium low flame. When the clams are cooked Add garam masala and mix it well, cook your dish until it become dry. Now turn off the heat and garnish your Roasted Clams with Pepper with curry leaves and chopped coriander leaves. 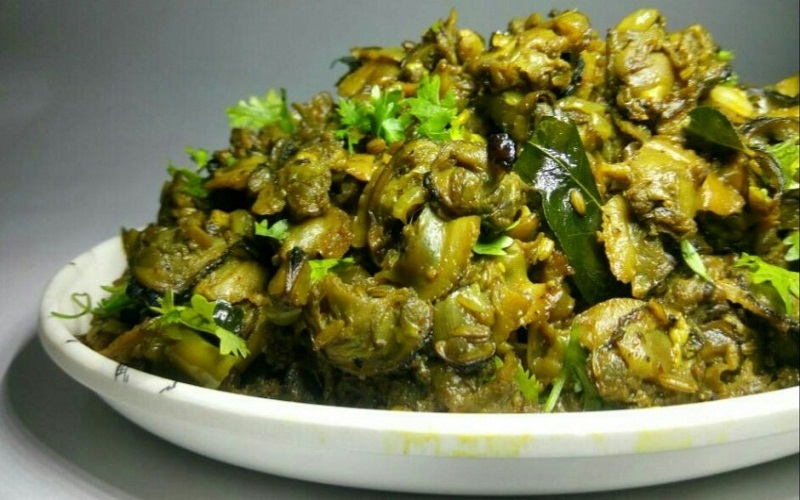 Serve it hot and enjoy your Kakka Irachi Kurumulaku Roast.